Taken from George Harrison’s towering All Things Must Pass album, this beautiful song has the distinction of being the first number one single in the UK and America by a former Beatle, as well as being the UK’s biggest selling single of 1971. George wrote the song, but did you know that he was not the first to record ‘My Sweet Lord’? George gave the song to Billy Preston to include on his September 1970 album, Encouraging Words that the former Beatle also produced. Billy’s album included many of the musicians that were bound up in George’s musical world during this period, appearing on All Things Must Pass, including Eric Clapton, Bobby Whitlock, Carl Radle and Jim Gordon who soon after formed Derek and the Dominos. Bobby Keys and Jim Price play horns and on Billy’s version of ‘My Sweet Lord’ it’s the distinctive sounds of the Edwin Hawkins singers that provide the backing vocals. Copenhagen was the end of Delaney & Bonnie’s European tour, that finished with three nights at the Falkoner Theatre from 10 – 12 December. According to Harrison ‘My Sweet Lord’ was begun while the band members were conducting a press conference and George spent the time in an upstairs room playing chords and alternating the words, “hallelujah” and “Hare Krishna”. Harrison later took his idea to the others, and the chorus was developed. George used the Edwin Hawkins Singers’ rendition of the hymn, ‘Oh Happy Day’ as further inspiration and the song was finished with Billy Preston’s help which is how come it ended up on his album with the help of the Edwin Hawkins Singers. For George’s version of ‘My Sweet Lord’ he recorded it with Phil Spector co-producing the sessions at Abbey Road Studios. Billy Preston again played on the track, along with Clapton, Ringo Starr, Jim Gordon and all four members of Badfinger, who were signed to Apple. 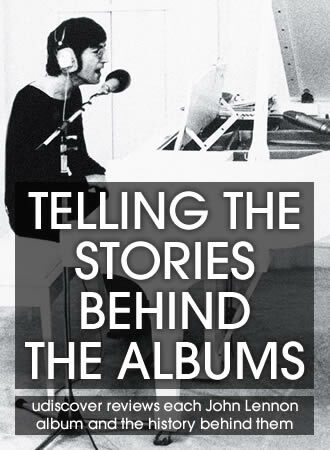 For the final version Harrison and Spector chose from a number of rhythm tracks before selecting the master take, which featured, among others, Klaus Voormann on bass and Gary Wright on a second keyboard, possibly Peter Frampton may have added acoustic guitar after the main session. George’s slide guitar parts, and John Barham’s orchestral arrangement were overdubbed at Trident Studios in central London. George had originally wanted no single to be released from All Things Must Pass but in the end he relented, and ‘My Sweet Lord’ was issued as the lead single around the world, but not in Britain; the release date was 23 November 1970 in the United States. The mix of the song differed from that found on All Things Must Pass by featuring less echo and a slightly altered backing vocals. It was released as a double A-side with ‘Isn’t It a Pity’. ‘My Sweet Lord’ topped the US Hot 100 for the first of 4 weeks on 26 December 1970. With constant radio plays in Britain it was eventually released as a single on 23 January 1971 and made No.1 a week later. At the end of 1971, “My Sweet Lord” topped the Melody Maker reader’s polls for both “Single of the Year” and “World’s Single of the Year” and in July 1972, the song won two Ivor Novello songwriter’s awards for George. 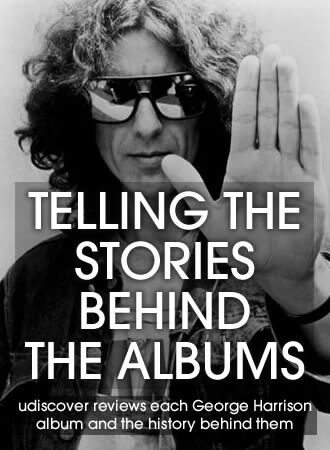 In January 2001, George included a new version of the song as a bonus track on the remastered All Things Must Pass album. 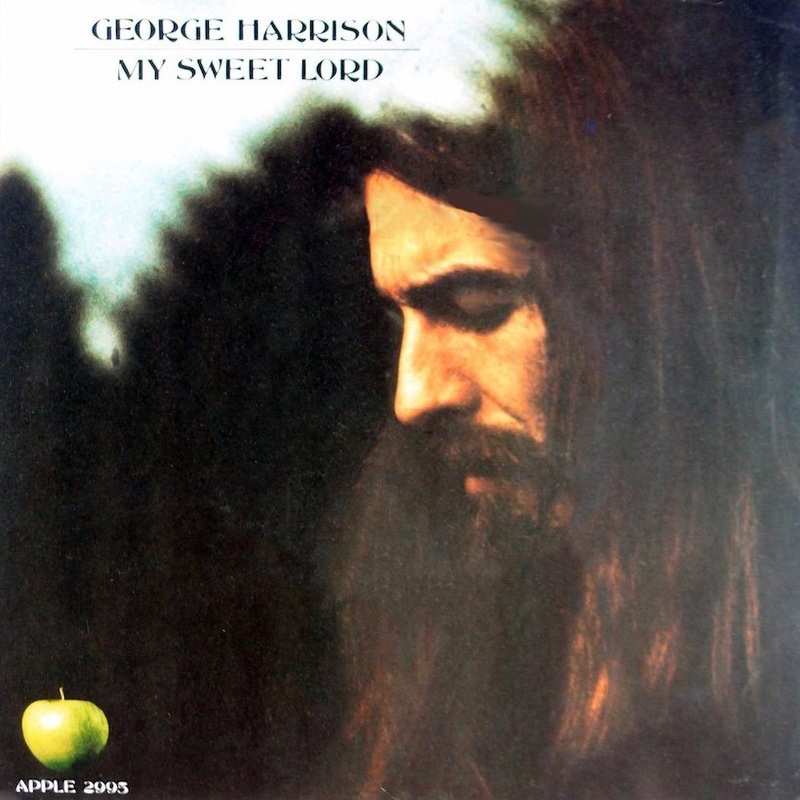 ‘My Sweet Lord (2000)’ featuring Harrison sharing vocals with Sam Brown, daughter of his friend Joe Brown backed by mostly new instrumentation, including acoustic guitar by Dhani Harrison and tambourine by Ray Cooper. In 1971 George was sued over copyright infringement by the publisher of The Chiffons’ ‘He’s So Fine’. In 1976 the Judge found that George had infringed copyright, but said “Did Harrison deliberately use the music of He’s So Fine? I do not believe he did so deliberately. Nevertheless, it is clear that ‘My Sweet Lord’ is the very same song as ‘He’s So Fine’ with different words, and Harrison had access to ‘He’s So Fine’. This is, under the law, infringement of copyright, and is no less so even though subconsciously accomplished.” The court case over damages rumbled on for decades and the finer points of law are too complex and too drawn out to go into. Let’s just say that George Harrison’s joyous song is one of those truly memorable records that has brought deep joy to so many, and uplifted the spirits of others in times of hardship, stress and trouble. What greater gift has any musician to give than that? Follow the George Harrison Best Of playlist for more essential George Harrison. Unless the record books have been altered yet again Gerry and the Pacemakers had two occasions of reaching number one with You’ll Never Walk Alone. Ivor, It was with The Crowd the second time, not the same version of the song. R.I.P. Goerge thank you very much for your good music !! And what about Ferry Cross The Mersey? Thomas, different version of the son. Don’t forget “Nights in white satin” by Moody Blues. Went to No.1 on three occasions . Still love George’s songs. Tongue in cheek as ever, George wrote and recorded “This Song” from 33 1/3 in honor of the courts decision. And the accompanying video was hilariously pointed at the decisionHe later commented that he had spoken with the judge a few years later, and the judge admitted liking My Sweet Lord better, mentioning He was So Fine! Good bless and Hare Krishna, George! Bobby, thanks for getting in touch. We’ve changed it! Both versions are awesome! Regarding the question did George knowingly and willfully infringe on the Chifons and He’s So Fine doesn’t make sense. 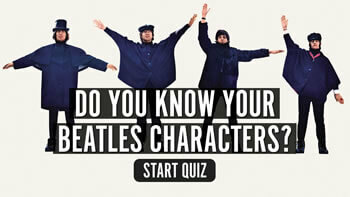 Even if George before joining the Beatles, had little or no song writing experience, he spent years with Lennon/McCartney and had to have acquired basic good ethical song writing abilities. George Harrison’s greatest work… it made for a special Christmas in 1970… rest in peace George. i recently became friendly with Joseph Santora, the lawyer who represented George in the “My Sweet Lord” dispute! What a nice guy and he remained friendly with George and Olivia until his passing! Had my photo taken with Joe & a signed picture of George, that I will treasure! Hereby I invite you to travel in time through the pages of THE AMAZING CUBAN SONGBOOK. Check out these great Cuban songs with brand-new English lyrics, find your favourites and share them with your musical friends and colleagues. You can eventually be the first to sing your favourite Cuban songs in English (even if it happens under the shower). Wow! that law takes away any creativity for musicians! Needs to be changed! With all respect, the two songs are great songs but are not the same song! Anyone in their right mind knows that! 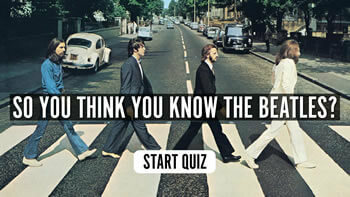 Rock on, and RIP George Harrison, thank you! My sweet lord is one of the best songs written. I have listened to the song He is so fine too. I feel this version of My Sweet Lord by George Harrison will be enjoyed many years to come. My 10 year old grandson listened to it, liked it and sing the song. Thank you Grorge Harrison for all your beautiful music. RIP. was breath taking. R.I.P. George. George Harrison will be remembered for many many years. A nicer guy would be hard to find. Still missed by those who loved his music and realised it came from the heart. R.I.P. George. The authors of He’sSo Fine should be grateful to George forever for making their song more popular than it deserved. The huge success of My Sweet Lord, the copyright infringement case and the trial, they all added up to turning a nice obscure pop song from the 60s into “the song that a Beatle copied”. Although My Sweet Lord remains the real masterpiece we all know and love! Excuse me, He’s So Fine topped the Billboard Hot 100 for four weeks in the spring of 1963, and as stated above, My Sweet Lord’ topped the US Hot 100 for the first of 4 weeks on 26 December 1970 – exactly one week more, thus the comment “turning a nice obscure pop song from the 60’s into a masterpiece” is wholly inappropriate and in fact entirely wrong. I would venture to suggest that Harrison would never have written Sweet Lord had it not been for the Chiffons, the Beatles were all huge fans of the girl groups of the early 60’s, and that song would have been very well known to him, even though he may not have realised at the time of writing that he was using their tune, nevertheless it was in his head subconsciously, and the judge in the court case so ruled. My Sweet Lord is surely one of the finest rock/pop songs of all time. George’s production of it (with Spector) is impeccable and shows how diligent and professional he was. There were similarities to He’s So Gine but there were many other components to my sweet lord that were not in he’s so fine. George was unlucky with the court case, a couple of notes different here and there then it would have gone his way. Ultimately he bought the rights to he’s so fine and ironically ended up paying many of the costs to himself. He passed away far too soon and is sadly missed. My wife and I had Something played at our wedding – and Handle With Care. We need men of peace like George around today. Two different considerations apply when discussing the merits of My Sweet Lord, the pure music aspect and the legal issue. Ignoring for a moment the question of plagiarism, and just considering the song as a piece of music, it is magnificent, immaculate production, huge attention to detail, and just a fantastic overall sound. Similarly the Chiffons He’s So Fine was a good production for its day, and their vocals are great, so both songs have their respective merits. However it cannot be denied that Harrison borrowed heavily from the original song, it is more than just similarities, the first two verses are almost more for note the same, Harrison then takes his version in a different direction in the middle, but nevertheless if you had written He’s So Fine and then heard Sweet Lord, you would be absolutely justified in saying ‘that’s my song’. There is a lot of emotion around George Harrison, understandably, a truly honest musician who only ever intended the best for everyone, and who passed away tragically far too early, but leaving that aside, I’m afraid you cannot steal another person’s music, even unintentionally without suffering consequences. I corresponded thru mails with George Harrison’s mom in the late 60’s ! Such a fine lady! She sent me photos of the family and signed pictures of the Beatles.. To this day 50 years after, I still have them! George and his siblings had a great bond… His parents were wonderful! I tried to get in touch with her elder sister Loiuse but didn’t know exactly where she is. I think she is now in her 80’s and living in America…. I was 15 when All Things Must Pass . My Dad died in 65, so I always felt alone.George showed me how to be humble in a drug ,Rock&Roll , crazy world! My fav GH song is Wah -Wah!